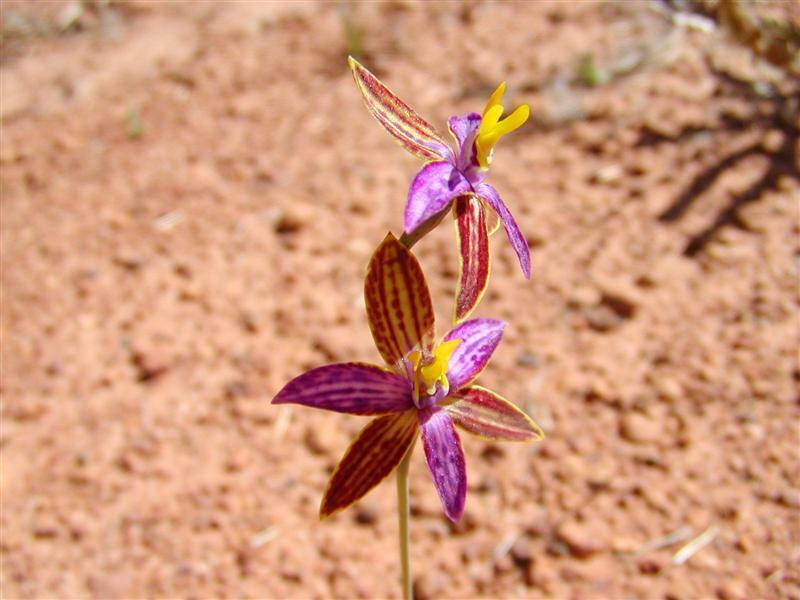 Sorry guys, but more about wildflowers and orchids. The night before last, Russ went on a guided walk with other campers, with Allan giving everyone remarkable information about native plants, pollination, germination etc. etc. Russ came home, after three hours, stimulated and excited by all this amazing information. Botanists, scientists, entomologists, native bee specialists, people from USA come here to study their particular topic and Allan absorbs all their knowledge and passes it on to those who are interested. He is quite a man and this is quite a place. If we had more time, we’d extend our stay. Yesterday, we had quite a special day. We headed off to Lake Indoon for a picnic lunch, which was very well set up for day recreation and camping at $8 per night, then on to Depot Hill. 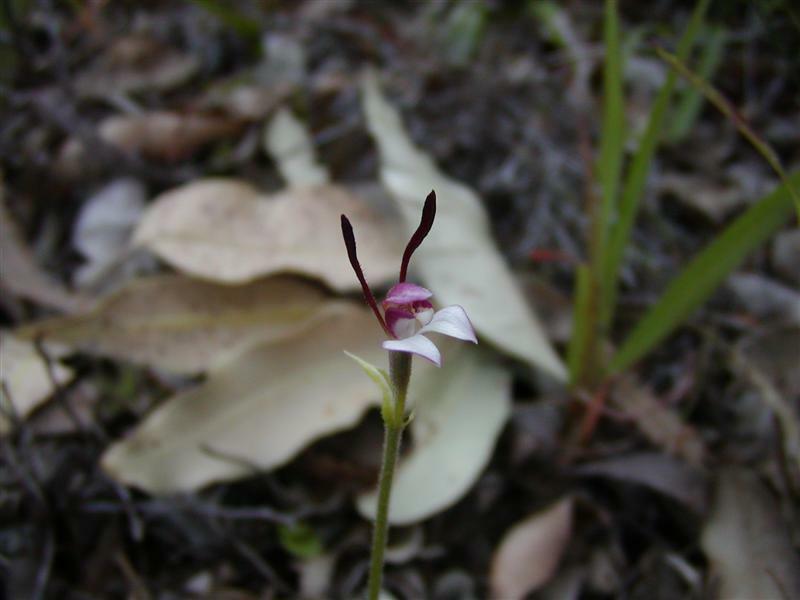 Over the day, we found two new orchids known to us, one was a rabbit orchid, the flower of which is 10mm long (left), right here at camp and the other was the Queen of Sheba orchid. 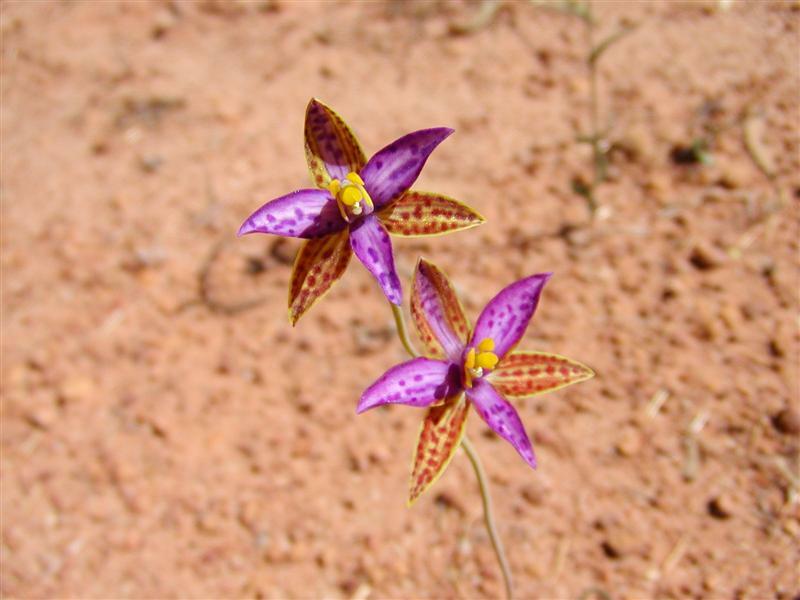 Little did we know that this latter orchid is the orchid everyone is waiting to find!! Apparently, the office here at Western Flora gets four calls a day asking if there has been a sighting of it. We naively took our camera over to Allan, who told us what we had spotted! We have been incredibly lucky here, with the timing and the weather. This morning we went on a 6km walk to the Arrowsmith River, with donkey, bee and cowslip orchids all the way, as well as the most beautiful native bush, birds, all while walking on white sand tracks. We are now able to look at a bush and tell if it has been pollinated or not, which is male and which is female, what insect, bird, wind or ant pollinates it (or whatever else) – everything that makes the walk so much more interesting. 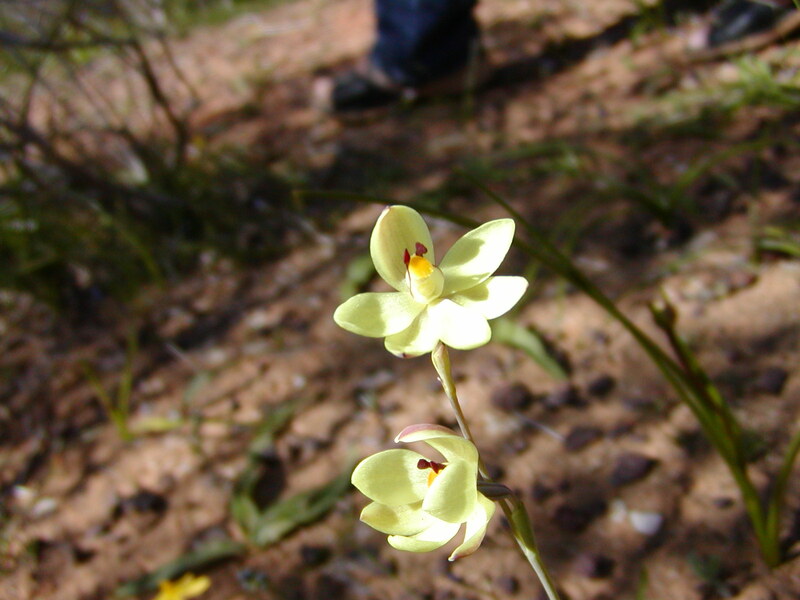 The yellow orchid at the top is another we have to have identified tonight, when we talk to Allan again. 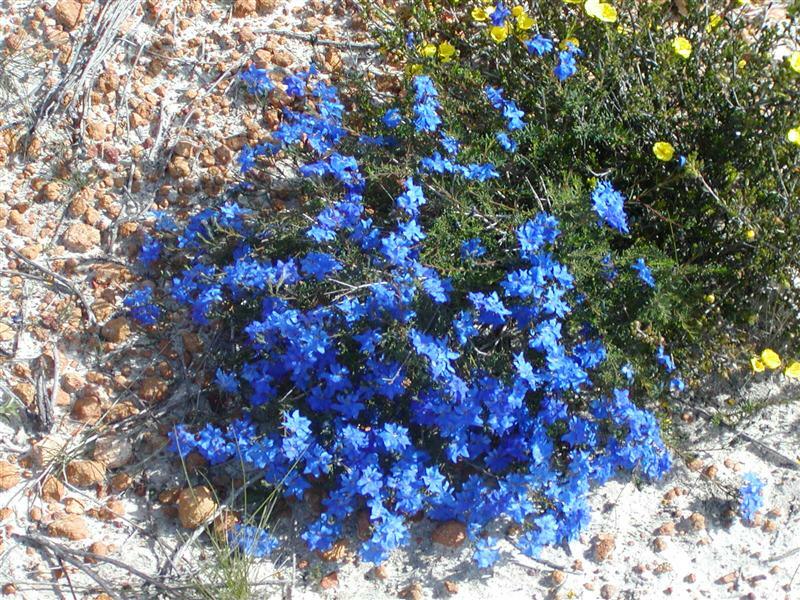 1 Comment on Western Flora – Eneabba – What a Place!